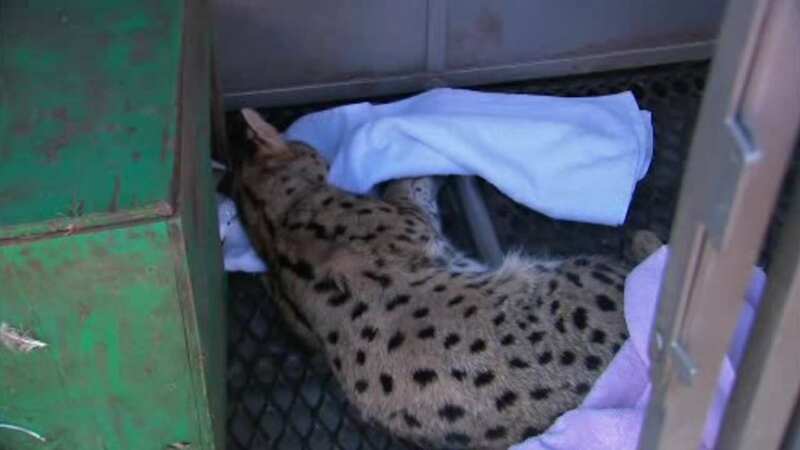 WANAQUE, New Jersey (WABC) -- An exotic and illegal wild cat is now in the custody of animal control in New Jersey. Residents spotted the large animal in Paterson Thursday and called authorities. The cat was tranquilized because of how it was acting. Animal control officers say, it gave people living in the neighborhood quite a scare. The animal is now resting at a shelter in Wanaque. Animal Control is waiting to see if someone comes forward to claim it.